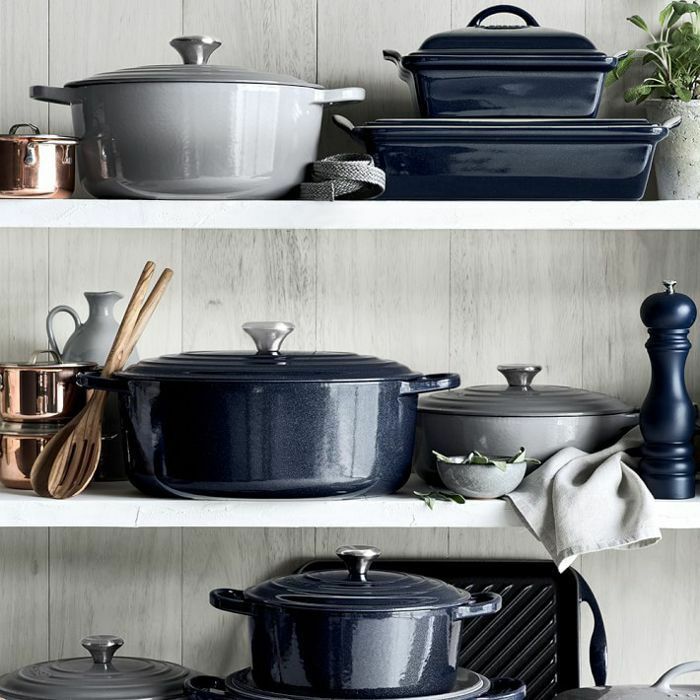 While Le Creuset may look like run-of-the-mill pricey cookware, fans of the cult French brand swear by its classic, versatile pieces. 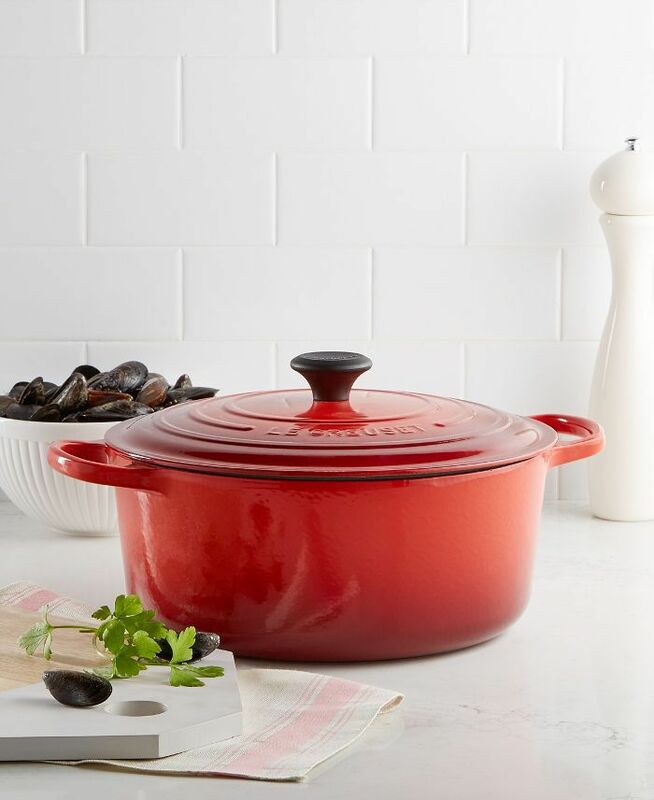 For example, the Dutch oven product is perfect for braising meat, slow-cooking stew, sautéing vegetables, roasting chicken, and even making bread, reports Kitchn. 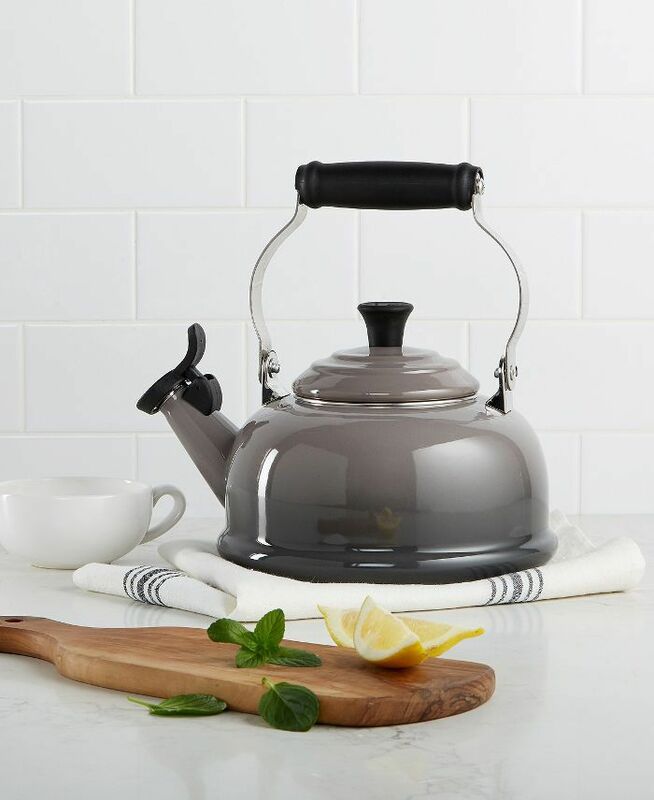 Considering its cult status, we felt compelled to share the news of Macy's current Le Creuset sale. 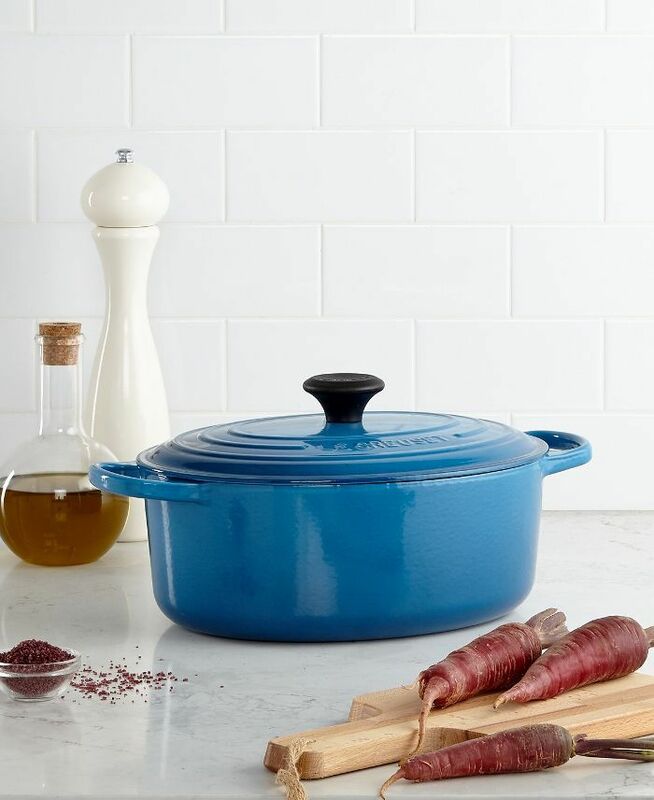 You can snag a few of the essentials at a hefty discount, like the Signature Enameled Cast-Iron 9-Quart French Oven for $420 instead of the standard $600, or the five-quart version, now going for $330 instead of $550. 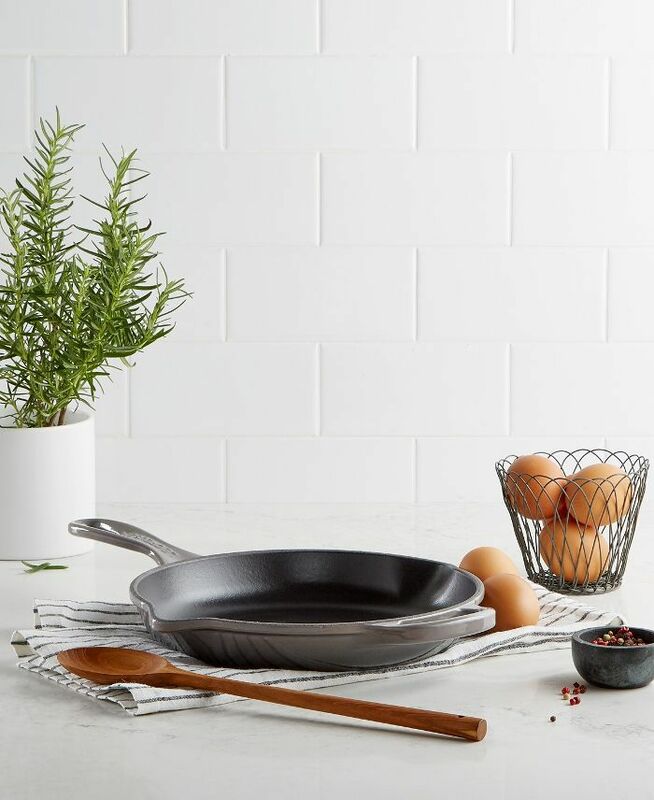 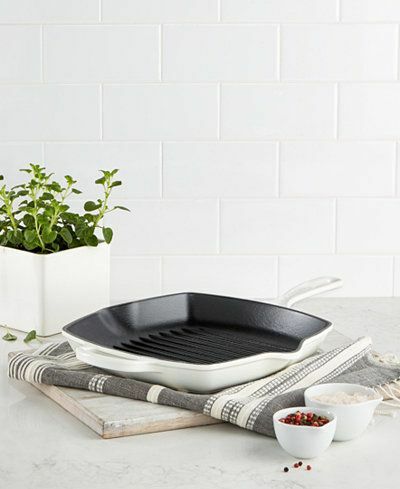 Other notable bargains include the Enameled Cast-Iron 9" Skillet, on sale for $150, and the Heritage Stoneware 12" x 9" Rectangular Baking Dish, now just $75. 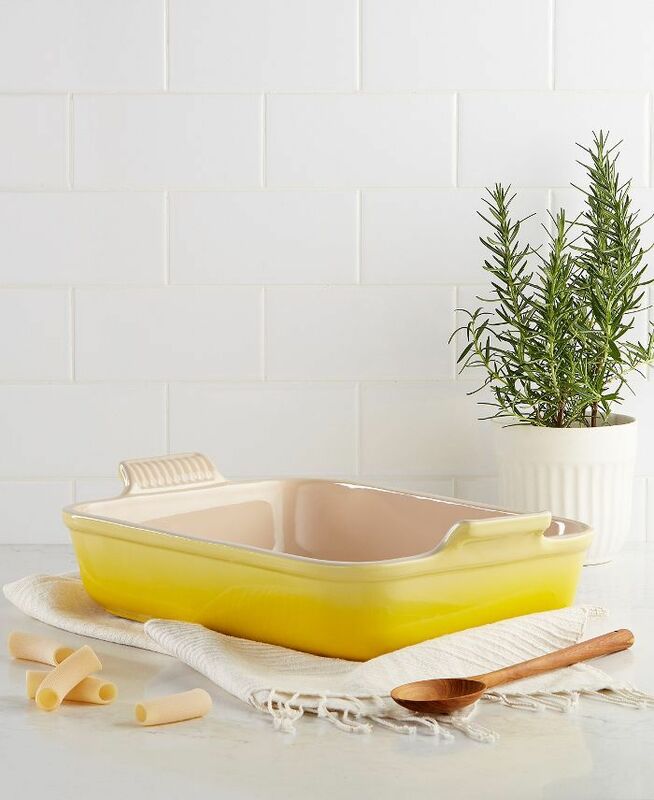 Shop more discounted Le Creuset essentials below, and head over to Macy's for the full inventory.